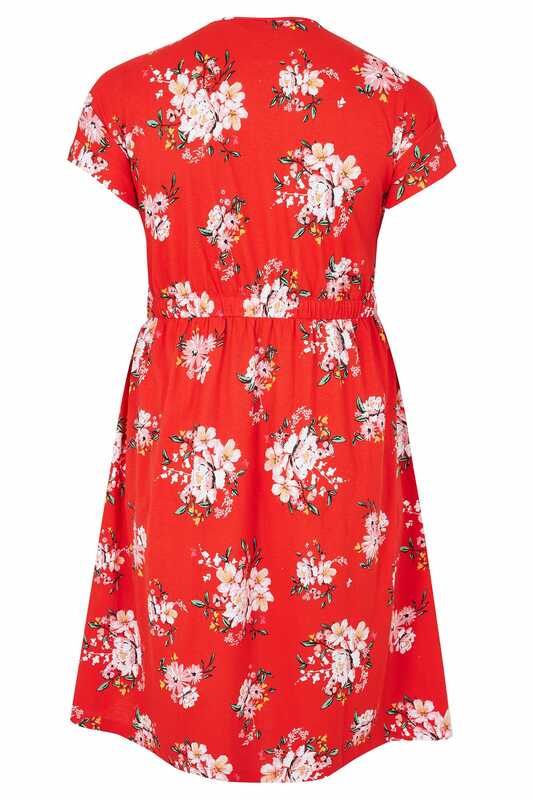 Add a pop of colour to your wardrobe with this dress. 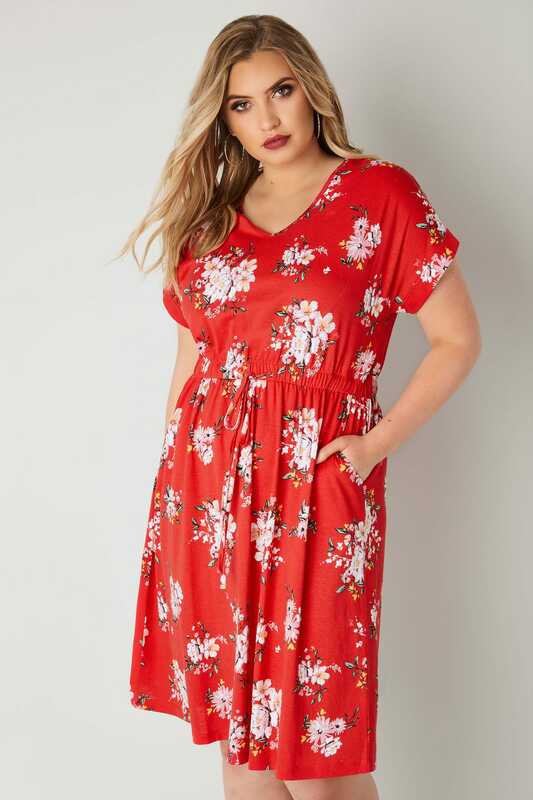 Perfect for those warmer days, it is made from a lightweight and comfortable cotton fabric and features an elasticated waist with a drawstring tie to nip you in at the waist. 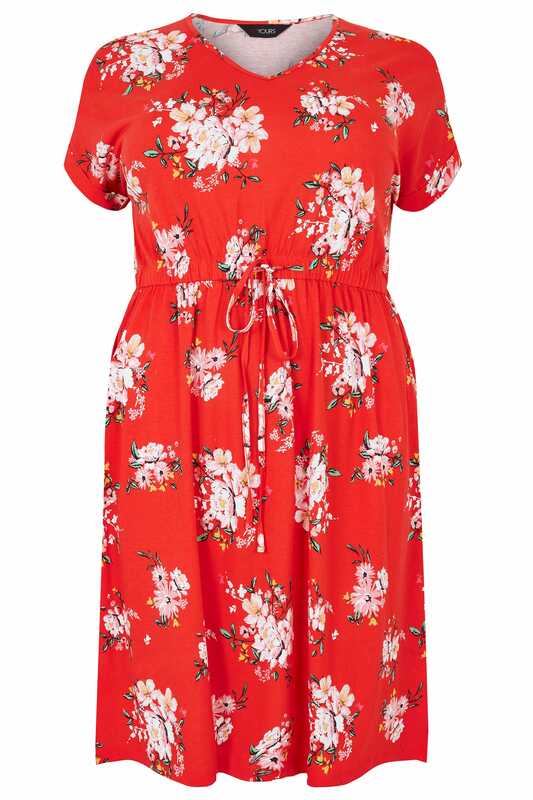 Team with sandals and a shopper bag for an effortless go-to look. 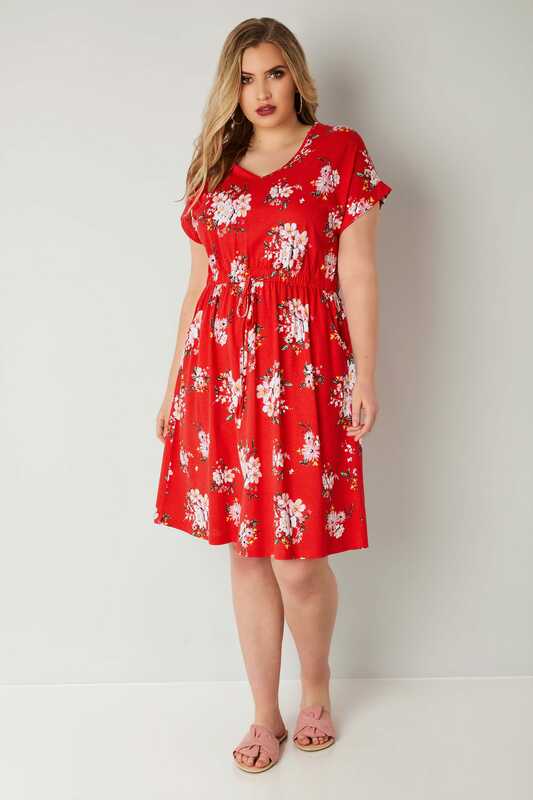 We love the bright red hue and elegant floral print.